Congratulations to Jessica Janc for completing the North Carolina Environmental Educator Certification! Jessica is the High Country Watershed Coordinator for Blue Ridge Resource Conservation and Development, a non-profit organization that works with local communities to improve the quality of life and standard of living in western North Carolina. 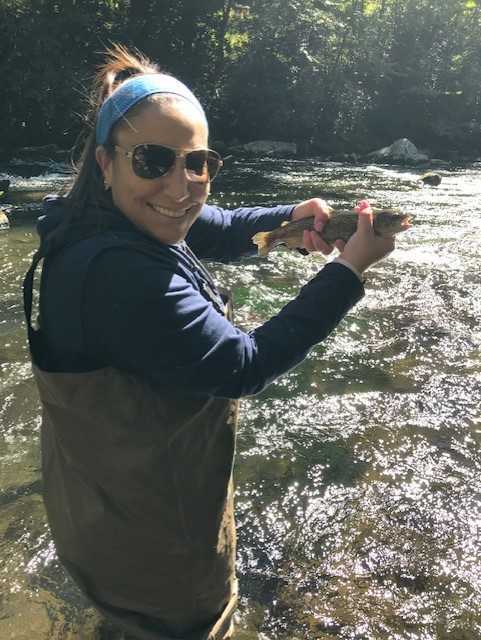 Jessica works in Watauga, Ashe, and Alleghany Counties developing environmental education and outreach programs and assisting area partners with current projects in the New River and Watauga River watersheds. 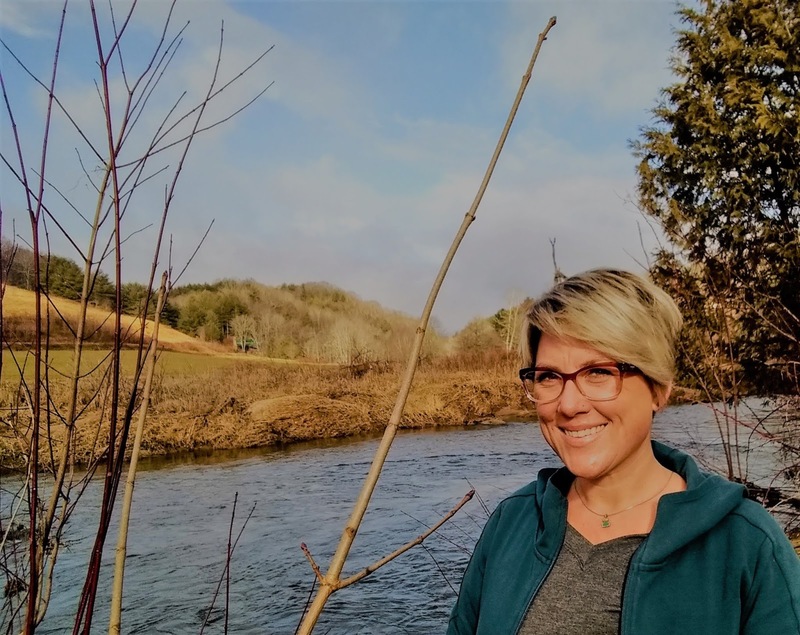 She also serves on the board of Two Rivers Community School, a K-8 school in Boone founded on the design principles of expeditionary learning. Jessica said the certification program had a strong impact on the way she views her role as an educator. "I think this program helped show me how important it is to listen and connect with those you're teaching. Understanding their background and presenting information in a way that makes them comfortable is almost as important as the content itself." For her community partnership project, Jessica partnered with the U.S. Fish and Wildlife Service (USFWS) and several schools in Alleghany, Ashe, and Watauga Counties to create watershed education materials for fifth and eighth grade teachers. 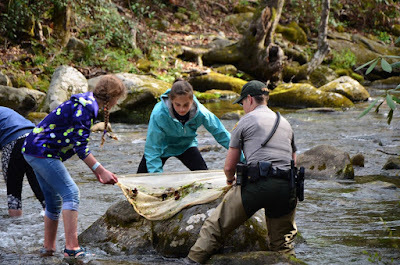 Jessica compiled a variety of educational materials for the Watauga River and New River watersheds, including watershed maps provided by the USFWS, map usage guides, and lesson plans relevant to each grade level. Jessica is also developing a website for the watershed resources that can be used by teachers to support their curriculum. 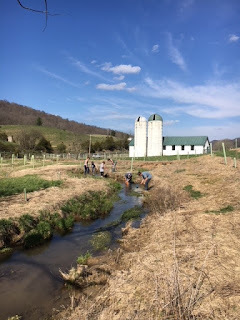 When asked about her goals for the project, Jessica replied, "I hope the information presented will motivate students to be more invested in their watershed and inspire them to participate in local conservation efforts." While completing her certification, Jessica spent a summer assisting a teacher with a summer class for high school students in Boone. 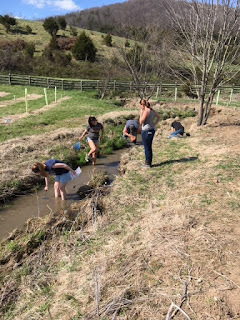 One day she accompanied the students and their teacher on a trip searching for macroinvertebrates and salamanders in a local stream. Jessica remembers one moment from the trip very clearly: "There was one student who was unable to find and catch a salamander. I spotted one and encouraged him to pick it up. I could tell it took every amount of courage he had and he did it. He looked at me and said, 'This is the proudest moment of my life.' He was genuinely happy and that moment reaffirmed my love of environmental education." 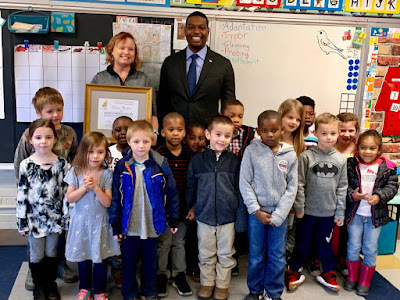 On March 30, DEQ Secretary Michael Regan joined several partnering agencies and organizations to recognize more than 220 educators who have completed the state’s Environmental Education Certification Program. The certified environmental educators included nature center and museum educators, naturalists, teachers, park rangers, academics, and many other professionals in the private and public sectors. Educators completed 200 hours of professional development in environmental education, including teaching and a community-based partnership project, to earn the designation. 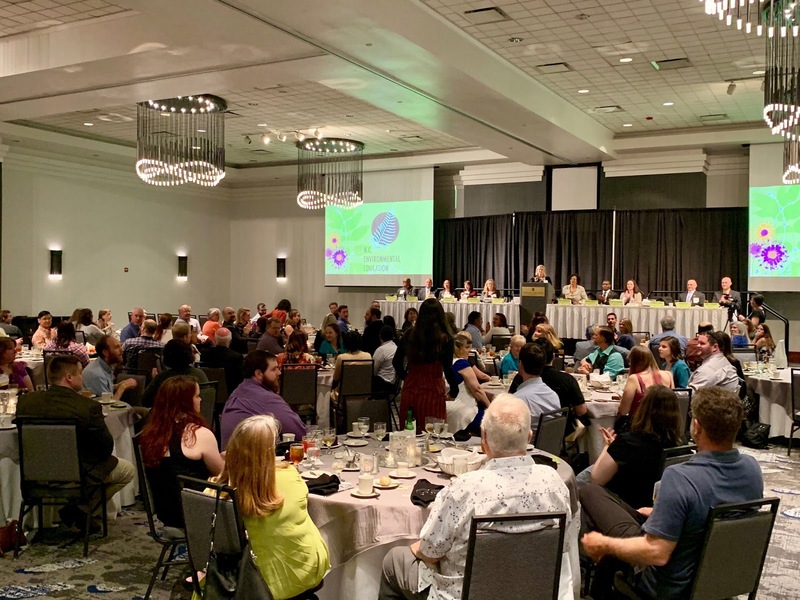 The event, held in Cary, included dinner for honorees and their guests, a slideshow featuring photographs and quotes from certified educators, and the premier of a new environmental education certification film which spotlighted several educators who had completed the program. The film includes footage of educators from around the state and explores the experiences of four recently certified individuals: a teacher at Central Park School for Children, a teacher outreach specialist with the N.C. Museum of Natural Sciences, a NCSU PhD student and ORISE Fellow at EPA, and an operations and administrative coordinator with SEEDS in Durham. 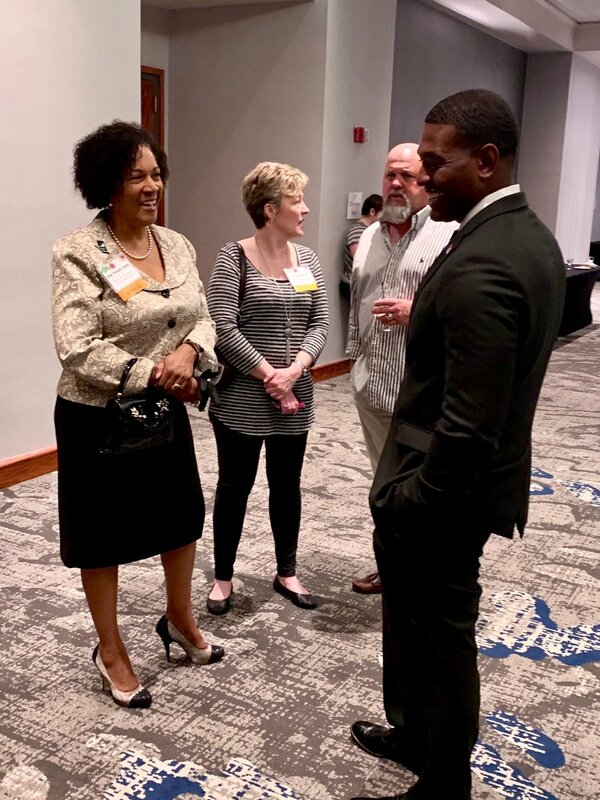 Dale Threatt-Taylor, district director for the Wake County Soil and Water Conservation District, delivered the keynote and encouraged participants to keeping reaching forward to serve and backwards to help mentor. 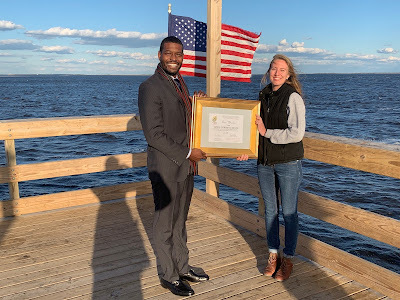 Threatt-Taylor, also known as the “conservation evangelist,” is recognized for her passion for the environment and she did not disappoint. One participant said it was the most inspiring keynote she had ever heard and was especially inspired by Threatt-Taylor’s advice to have courage, focus, to be able to “bounce” when challenged or criticized, and most importantly, to serve others and the community. The certification program is administered by the Office of Environmental Education and Public Affairs in DEQ and is a partnership between DEQ, the N.C. Department of Public Instruction, the N.C. Department of Natural and Cultural Resources, Environmental Educators of North Carolina, the N.C. Association of Environmental Education Centers, the Wildlife Resources Commission, the Division of Soil and Water Conservation, and the N.C. Association of Soil and Water Conservation Districts. The slide presentation featuring quotes from more than 60 honorees that was shown during the ceremony and can be viewed on the Office of Environmental Education and Public Affairs website. Other special guests included Division of Parks and Recreation Director Dwayne Patterson, N.C. Association of Soil and Water Conservation Districts Executive Director Bryan Evans, N.C. Department of Public Instruction Section Chief of K-12 Mathematics and Science Beverly Vance, Wildlife Resources Commission Deputy Director of Constituent Support and Engagement Lisa Hocutt, Environmental Educators of North Carolina Past President Shannon Culpepper, North Carolina Association of Environmental Education Centers President Kellie Lewis, and the Division of Soil and Water Conservation Director Vernon Cox. The North Carolina Environmental Education program was the first of its kind in the nation and has served as a model for other states. 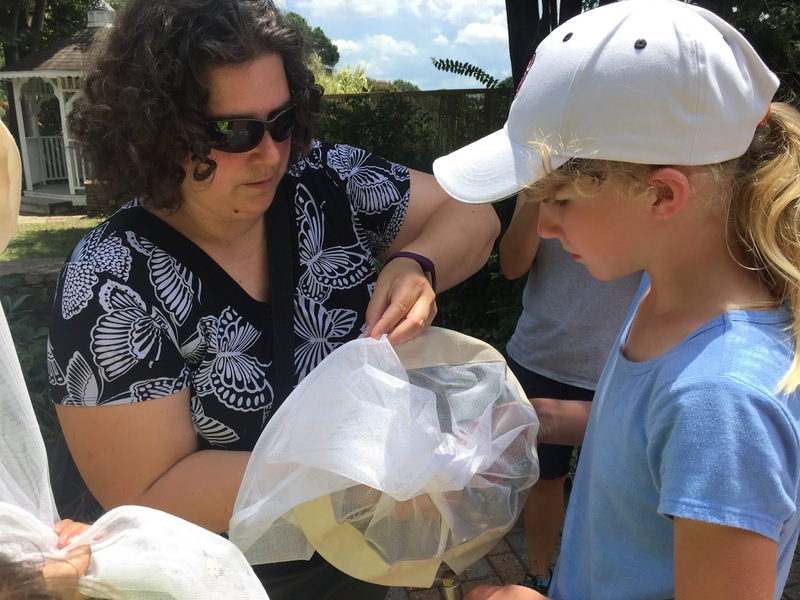 The North Carolina Environmental Education Program establishes standards for professional excellence in environmental education while recognizing educators committed to increasing environmental literacy. Individuals must complete 200 hours of professional development to be certified, which includes 70 hours of instructional workshops, 50 hours of outdoor environmental education experiences, 30 hours of experiences that promote awareness of the state’s environmental education resources, and 30 hours of teaching experiences. The required community-based partnership project addresses a need in each educator’s community. These projects have had far-reaching impacts on communities throughout the state, providing projects such as interpretive trails, recycling programs, school and community gardens, outdoor classrooms and even small ecological restorations. Examples of these projects can be viewed on the office’s Teachable Moments Blog. 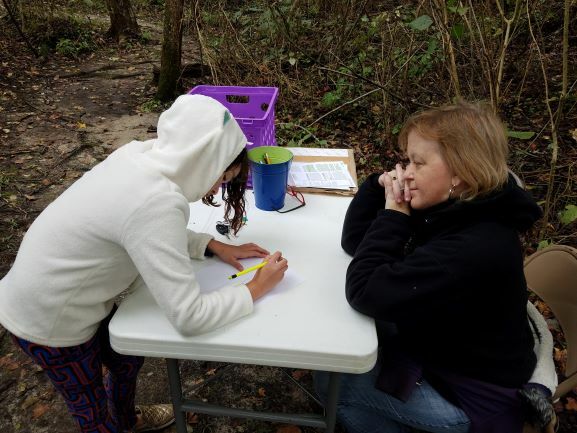 For more information about N.C.’s Environmental Education Certification Program, or to enroll, visit www.eenorthcaroina.org. Governor Cooper has proclaimed April 22nd through April 26th as National Environmental Education Week. 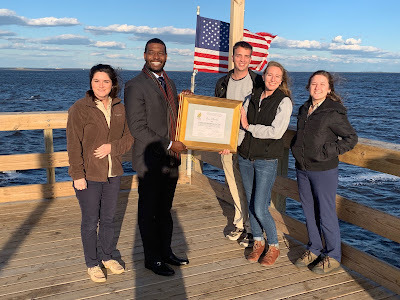 With this proclamation, North Carolina joins the National Environmental Education Foundation (NEEF) and other states in the nation's largest celebration of environmental education. The theme this year is “Greening STEM” which encourages educators to use the natural environment and real-world challenges to engage learners and deliver high-quality STEM education. In support of these efforts, NEEF has released the “Greening STEM” toolkit for educators in advance of the week’s events. Visit the National Environmental Education Foundation’s website for this and other Environmental Education Week toolkits. 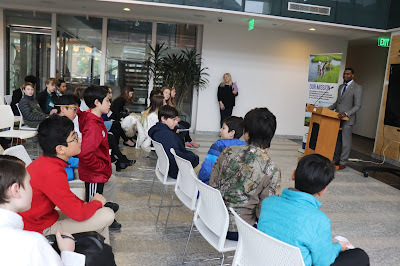 The N.C. Department of Environmental Quality (DEQ) kicked off environmental education celebrations early with the release of the new North Carolina Environmental Education Certification Program Video on March 30th in conjunction with a recognition event honoring more than 200 educators for completing the department’s Environmental Education Certification Program. 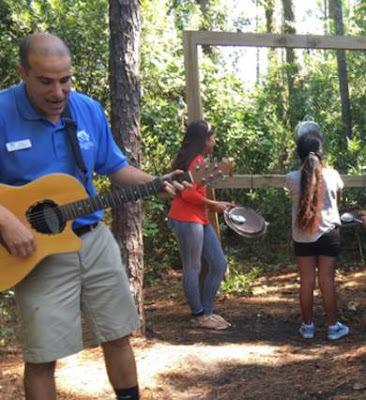 The nearly 1,000 certified environmental educators and the programs they provide make North Carolina a national leader in environmental education. Trail hikes, stream clean-ups, nature tours and storytelling are just a few ways you can explore and learn about North Carolina’s diverse environment. To help you find events in your area on Earth Day (April 22nd), during Environmental Education Week and through the month of April, the DEQ Office of Environmental Education and Public Affairs provides an online calendar on their website, eenorthcarolina.org. Events can be searched by city and zip code. Follow and share your events, photos, video, environmental education news and cool nature stories on Twitter, Facebook and Instagram using the hashtags #EEWeekNC and #NCEarthDay. Many of these events are also part of the North Carolina Science Festival which runs through April 30th. To find “green” STEM events and other science activities going on near you, connect with the Science Festival at ncsciencefestival.org or follow along with #NCSciFest. 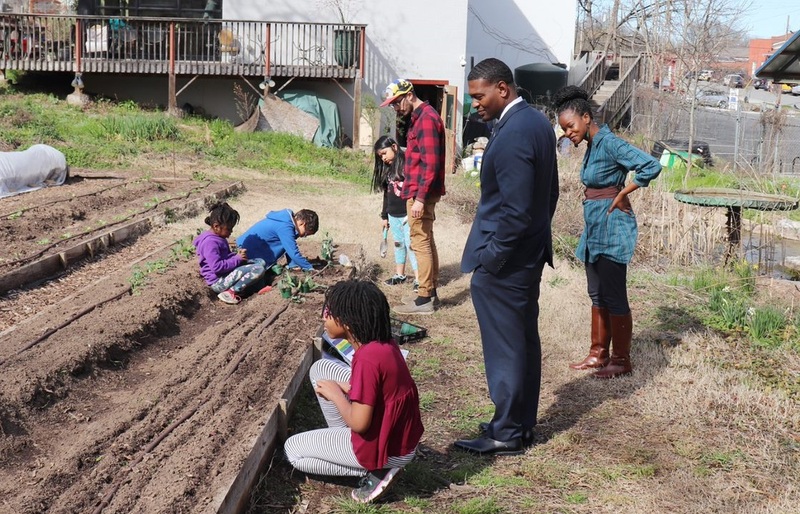 On March 12, DEQ Secretary Michael Regan visited SEEDS, an urban garden and kitchen classroom in the heart of Durham, to recognize SEEDS staff member Cynelsa Broderick for completing the North Carolina Environmental Education Certification. 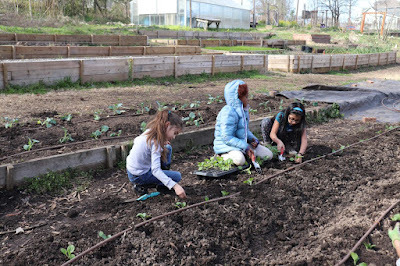 Founded in 1994, SEEDS has a mission to develop the capacity of young people to respect life, the earth, and each other through growing, cooking, and sharing food. SEEDS is located on a two-acre plot in Northeast Central Durham. 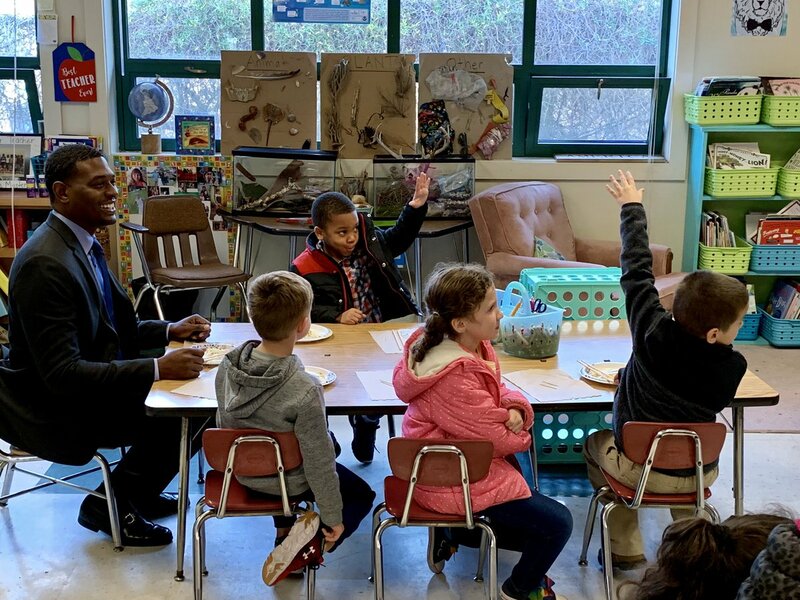 Over the past 25 years, SEEDS has grown and developed to meet the changing needs of the community, particularly by adding an after-school program for children in first through fifth grades. Cynelsa currently serves as the Operations and Administrative Coordinator for SEEDS, where she staffs the front desk, manages the office, and works in the educational garden and kitchen classroom. 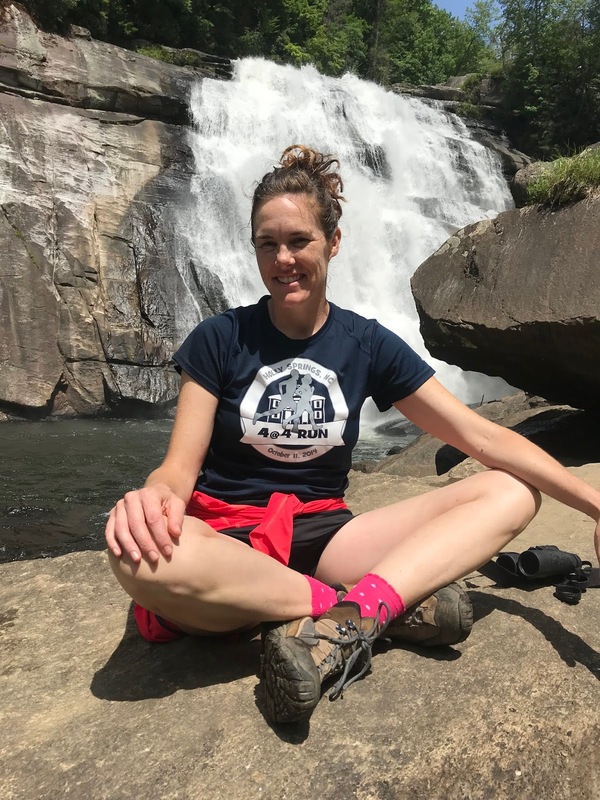 Cynelsa started the certification program while serving as an AmeriCorps member at the Conservation Trust for North Carolina. She has also worked in the NC State University Sustainability Office. Cynelsa is an accomplished visual artist and calligrapher and is passionate about making connections between STEM and the arts. For her community partnership project, Cynelsa developed and presented 14 classes as part of the SEEDS summer camp. 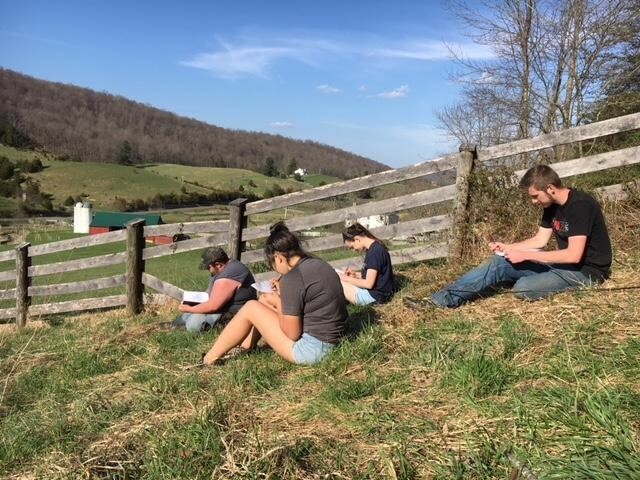 During the classes, students recorded observations in a nature log and worked together to design a new mural for the SEEDS building. The classes helped the youth participants experience nature, gardening, and cooking in a new way that combined art with gardening and environmental education. 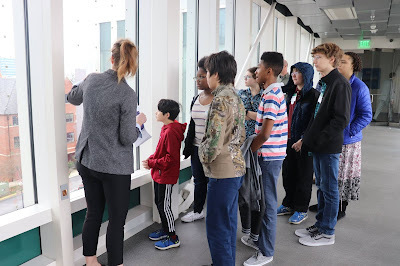 Describing the classes, Cynelsa stated, "The objective was for students to learn what important details to capture in their observations and how to transfer them to our mural. Each week, I worked with about 20 young farmers and went through lessons that touched on topics from environmental stewardship to color theory, patents to biomimicry." As a result of Cynelsa's project, SEEDS has new curriculum materials and a colorful new mural on what was once a dull, blank wall. Cynelsa said her favorite part of the certification program was traveling to different parts of the state. 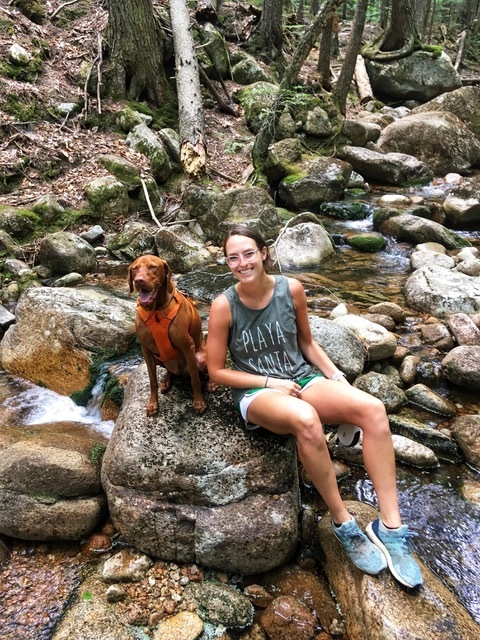 "Visiting so many state parks and meeting new people was a good way for me to become familiar with North Carolina." Her experiences in the certification program also led Cynelsa to become a more versatile teacher. 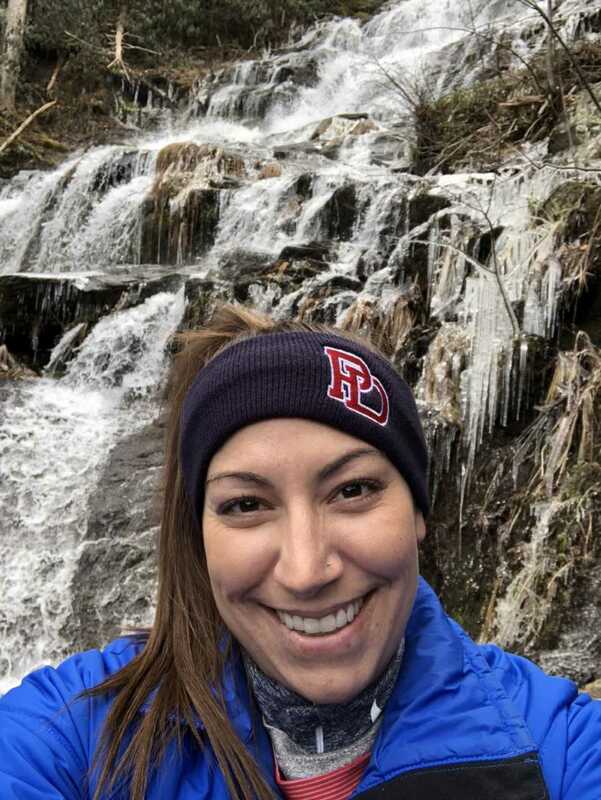 "I discovered various styles and ways people learn through this program and that has helped me be more aware of my methods in teaching others." Participants in the SEEDlings after-school enrichment program for grades 1-5 students gave N.C. DEQ Secretary Regan some hands-on agricultural education! SEEDS also has programs for middle and high school Students and workshops and volunteer opportunities for adults. For more information about SEEDS, visit seedsnc.org. For more information about the NC Environmental Education Certification, visit the NC Office of Environmental Education website. On March 5, the Department of Environmental Quality's Office of Environmental Education hosted over 30 students from Moore Square Magnet Middle School for Students@Work℠ Month. Students@Work℠ serves a critical role in our state's work-based learning efforts by helping local students become aware of potential careers and the necessary skillsets for those careers. Throughout the month of March, students will hear from guest speakers and take part in worksite visits where they learn firsthand about the careers available in their communities. Upon arriving at DEQ's Green Square building in downtown Raleigh, students heard an inspiring speech from DEQ Secretary Michael Regan. Secretary Regan told the group about how we became involved in the environmental field and explained the career path that led him to DEQ. Next, students participated in informational breakout sessions with staff from different DEQ divisions. Elliot Tardif and Tira Beckham from the Division of Air Quality showed the middle school students how the division forecasts the air quality index and explained why data manipulation is an important skill for many careers. Students joined Amanda Mueller, Kristie Gianopulos, and Greg Rubino from the Division of Water Resources on an exciting journey through North Carolina's wetlands through the use of an online, interactive map. Marty Wiggins and Sarah Sanford from the Office of Environmental Education led a building tour where students learned about the Green Square building's LEED (Leadership in Energy and Environmental Design) certification. The morning concluded with an informative session with Human Resources Director Ursula Hairston. Ursula helped the students connect their passions and interests with potential careers and explained the types of qualifications necessary for working in the STEM field. 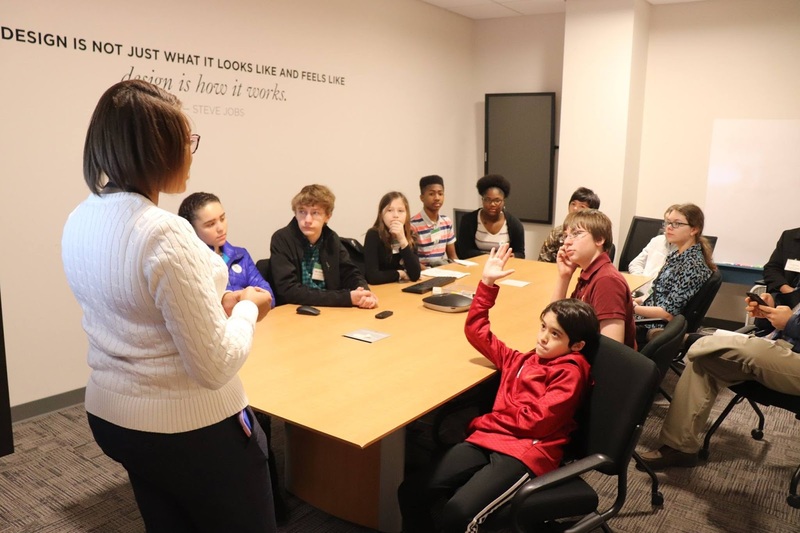 The Students@Work℠ program is a joint initiative between the North Carolina Business Committee for Education (NCBCE) and the North Carolina Department of Public Instruction. 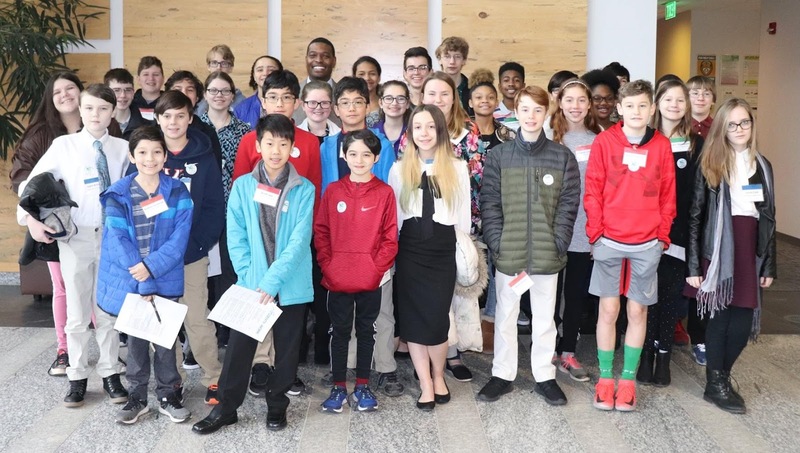 The 2019 Students@Work℠ initiative includes more than 280 businesses and 46,000 students statewide. 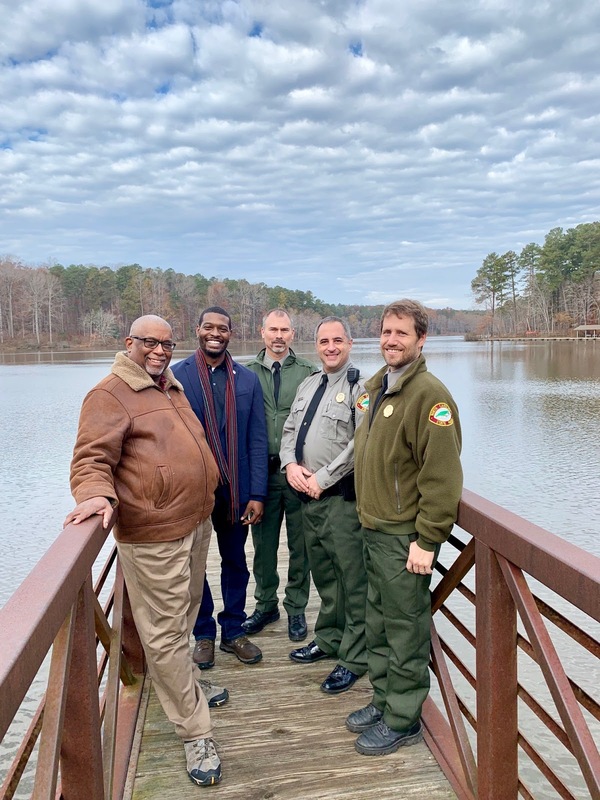 For more information about the Department's participation in Students@Work℠ Month, contact the Office of Environmental Education at 919-707-8125. For more information about NCBCE, visit ncbce.org. Congratulations to Paul Mazzei for completing the N.C. Environmental Education Certification. Paul is the Public Programs Coordinator for the N.C. Aquarium on Roanoke Island. Paul serves as an interpreter for live animal encounters, theater programs, and the aquarium's interactive dive program. The aquarium where Paul works is one of three public aquariums on North Carolina's coast. The Roanoke Island aquarium is located in the town of Manteo, which is part of Dare County. Paul's community partnership project arose out of a desire to make the aquarium more accessible to the Latino population in Dare County. To come up with a project idea, Paul worked with the aquarium's partner organization, Mano al Hermano. Mano al Hermano is a nonprofit organization that provides English language tutoring, legal information, a community garden, and other services to Latino community members in Dare County. 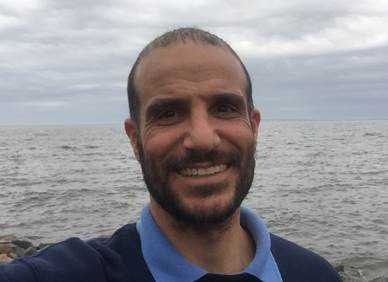 After talking with the staff at Mano al Hermano, Paul decided to create a nature club for third through sixth grade students involved in Mano al Hermano's Family Literacy Program in Manteo. The nature club meets one Sunday per month for approximately three hours. Participants interact with live animals at the aquarium, sing songs, and take part in educational outdoor activities. Paul was able to offer the nature club and transportation to the programs through a grant from Nature Play, part of the Disney Conservation Fund. Paul said the community partnership project was the highlight of his time spent earning his certification. "The partnership was a great experience and I hope that our relationship with the non-profit Mano al Hermano is able to continue for years into the future." He also said that participating in the certification program led to some changes in his interpretive work at the aquarium. "Based upon my experience in this program and past experiences, I've worked to revamp many of our programs at the aquarium to be more audience centered. I'm also continuously working to figure out ways to incorporate more outdoor experiences into programming." To learn more about the interpretive programs offered at the aquarium, visit the N.C. Aquarium on Roanoke Island website. To learn more about the N.C. Environmental Education Certification Program, visit the Office of Environmental Education website. Congratulations to Barbara Haralson for completing the N.C. Environmental Education Certification. 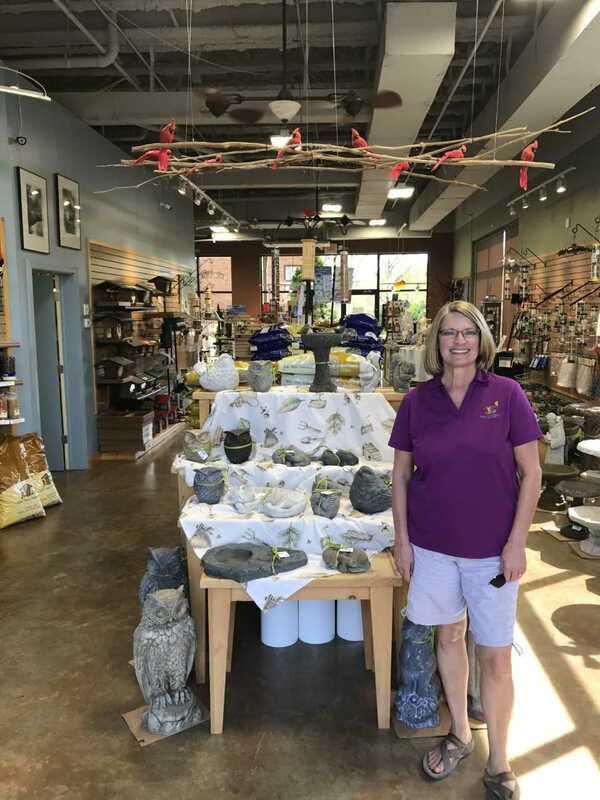 Barbara owns the Greensboro franchise of Wild Birds Unlimited, a retail store that provides supplies for feeding and observing wild birds. Barbara said she has been intending to complete the certification for years, and was finally able to take enough time away from work to take part in the required workshops. 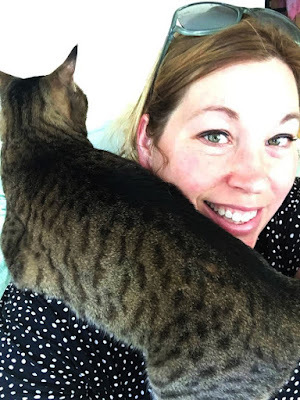 Barbara said her favorite part of the certification program was "meeting like minded people and having the opportunity to connect and network with them. 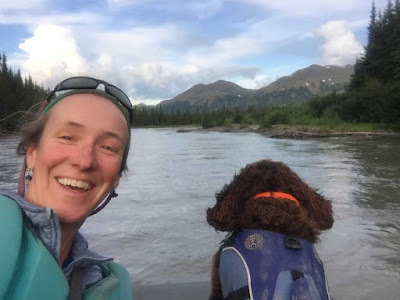 I made more connections with people in nature related jobs during the certification process than I did in 21 years of business ownership." 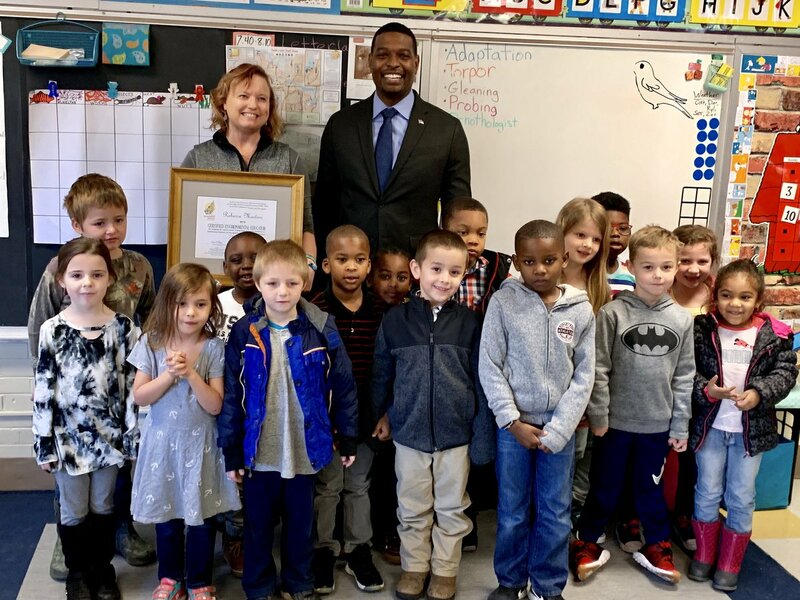 While Barbara's official job title does not include "environmental educator," she certainly serves as an educator in the Greensboro community. 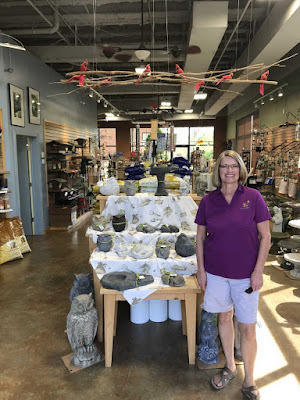 As the owner of Wild Birds Unlimited, Barbara is often asked to give talks or presentations to schools, garden clubs, senior homes, and other organizations. Participating in the certification program led to some important changes in Barbara's presentation style. "I learned the importance of hands on activities in the teaching process and how important they are to keeping people engaged. I also learned the value of providing the education and then allowing people to come to their own conclusions." 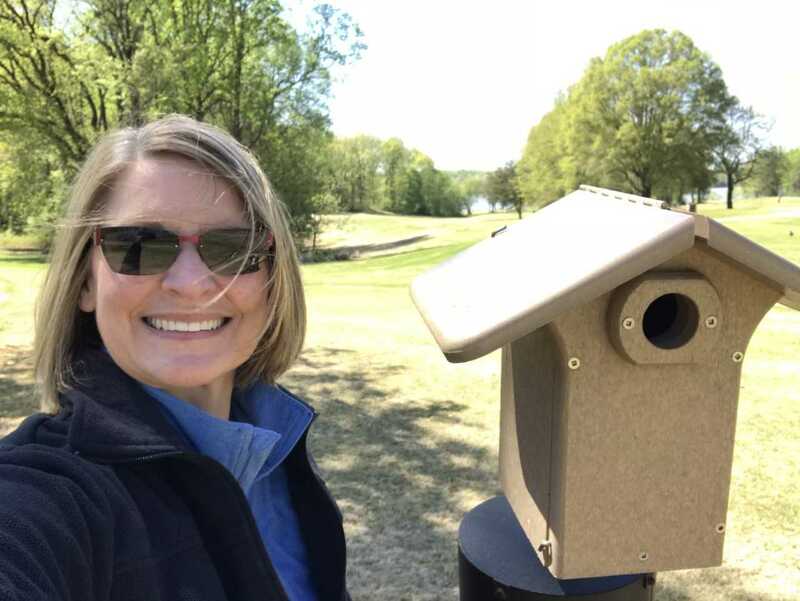 For her community partnership project, Barbara installed a series of nest boxes for Eastern bluebirds along the Bryan Park golf course trail in Greensboro. The nest boxes are made out of recycled plastic milk jugs. 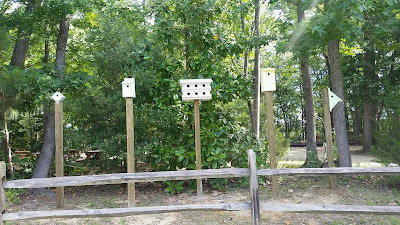 Barbara also installed the poles for the boxes, as well as baffles to protect the eggs and baby birds from predators. Barbara monitored the boxes weekly throughout the spring and summer, gathering data on the number of eggs, nestlings, and fledglings. The data was reported to the North Carolina Bluebird Society, an organization that monitors the status of the Eastern bluebird. Barbara was interested in installing nest boxes for Eastern bluebirds because the species nearly went extinct in the 1930s. Beginning in the 1970s, the establishment of nest boxes specifically for bluebirds has led to widespread recovery of populations. 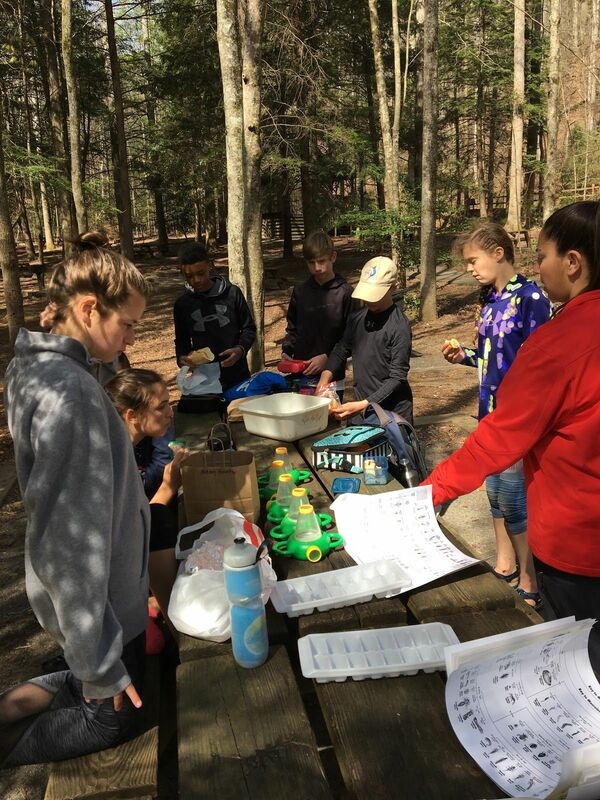 To culminate her project, Barbara gave a presentation at Get Outdoors Paddlesports about the success of the nest boxes, the near extinction of bluebirds, and the life history and habitat requirements of bluebirds. She also talked about the recycled plastic nest boxes and provided information on the importance of reducing plastic use and properly recycling plastic products. The nest box project seems to be having a positive impact on more than just the birds. As Barbara reported, "Every time I went out to monitor the nest boxes, I encountered golfers who wanted to learn about the bluebirds and how to attract them to their own yard." 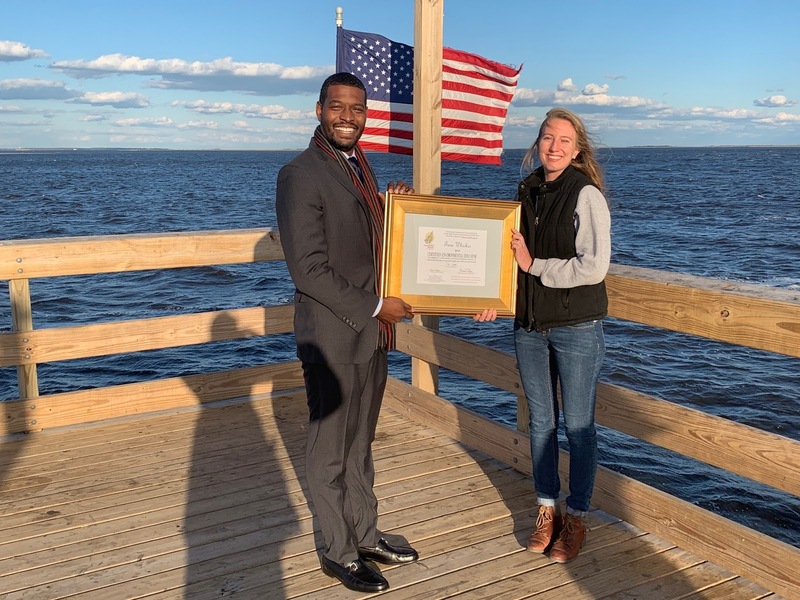 DEQ Secretary Regan was at Fort Caswell to congratulate Tara Whicker for completing the department’s Environmental Education Certification Program and to learn more about Caswell’s educational programming. 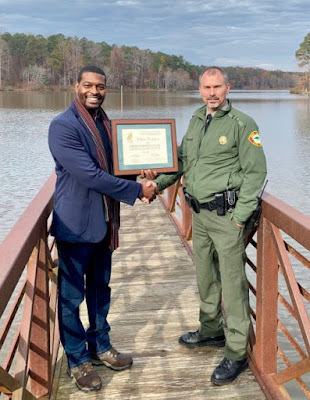 DEQ Secretary Michael Regan recently joined NC State Parks Director Dwayne Patterson at William B. Umstead State Park to recognize Billy Drakeford for completing DEQ’s Environmental Education Certification. Park Superintendent Scott Letchworth and staff from state parks, and the DEQ Office of Environmental Education and Public Affairs joined Drakeford for a brief interpretive hike about the cultural history and ecology of the park. 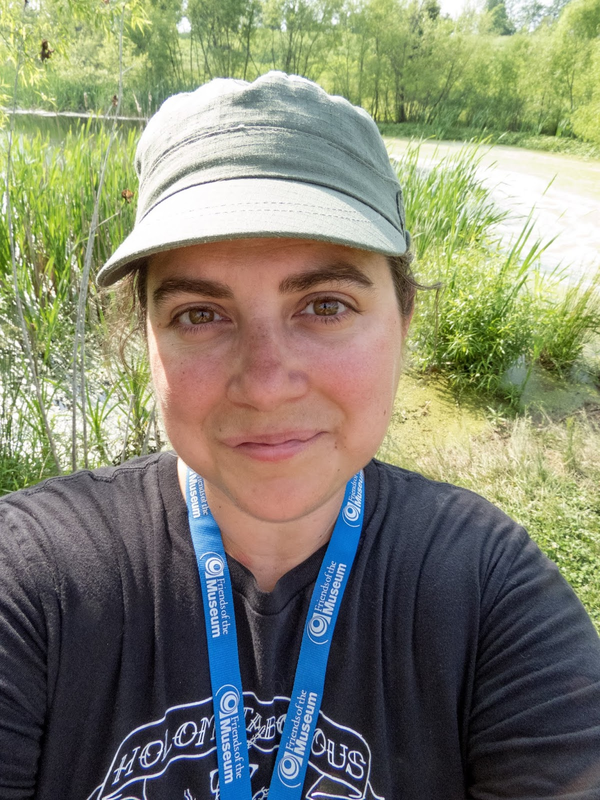 Congratulations to Kelly Nields on completing the N.C. Environmental Education Certification. Kelly is a zookeeper at the North Carolina Zoo in Asheboro. 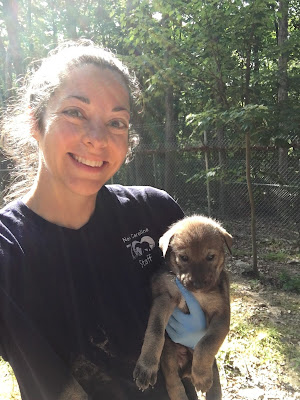 Kelly has worked at the zoo for over 12 years taking care of grizzly bears, black bears, elk, bison, and American red wolves. When asked about highlights from the certification program, Kelly said, "My favorite part of earning my certification was having my eyes opened to all the great educational and outdoor experiences that our state offers! The best part was that for most of my experiences that earned my certification, I was able to bring along my family to experience it with me." 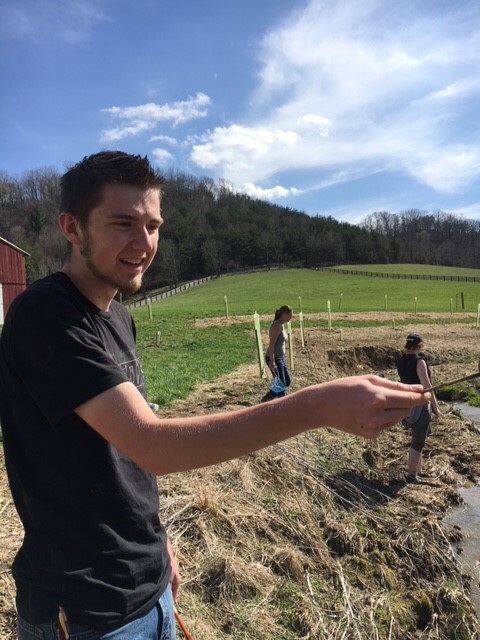 Kelly has a young son, and she enjoyed the opportunity to get him involved in environmental education. "Being able to share in those experiences with him and to see his excitement about nature and the environment was something I will always be grateful for and will never forget!" 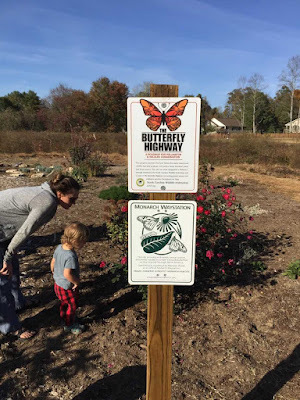 For her community partnership project, Kelly created a pollinator garden at her son's school, the Childcare Network of Adams Farm in Greensboro. The lessons she learned in the certification program helped Kelly recognize a need for environmental education at her son's school. "After speaking with my son's PreK teacher, I learned they didn't have a lot of outdoor environmental curriculum. I spoke with individual teachers as well as directors about creating an outdoor learning environment that could benefit the children and teachers long after my son graduates to kindergarten." 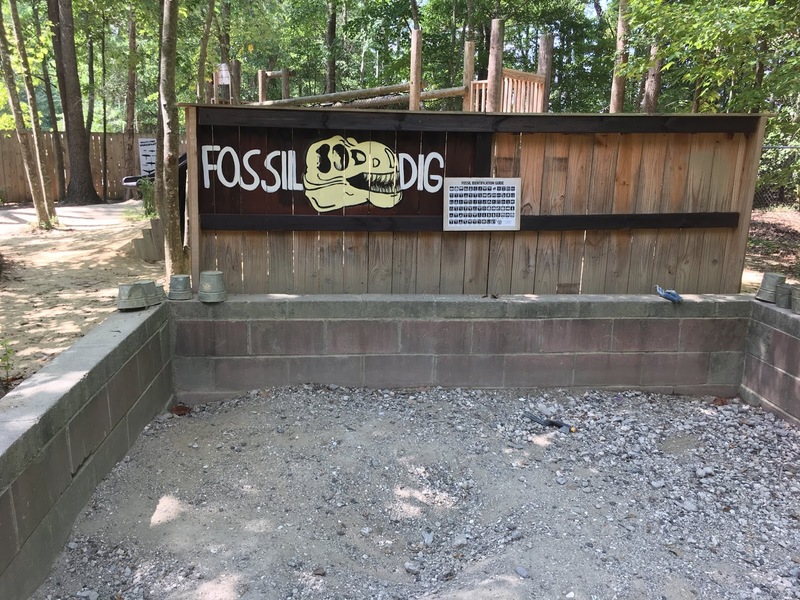 To pay for the materials for the pollinator garden, Kelly applied for and received a grant from her local chapter of the American Association of Zookeepers. 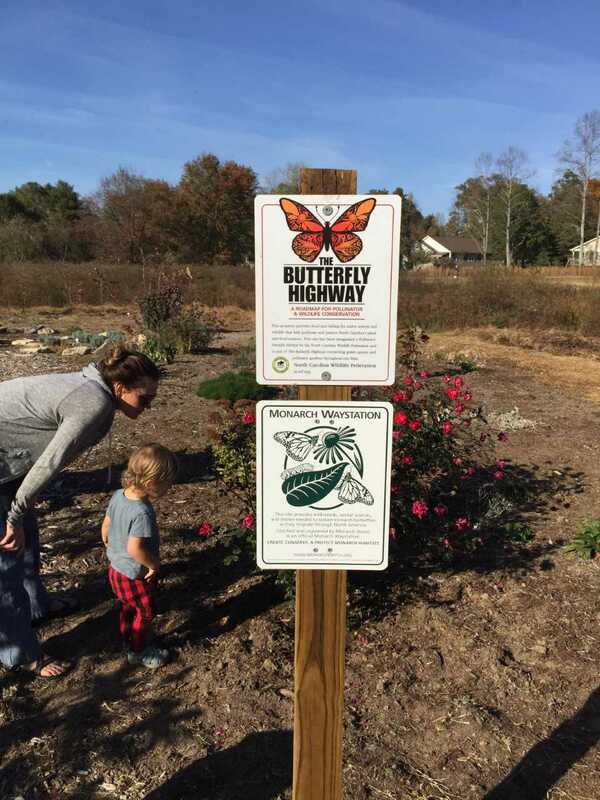 She also partnered with the All-A-Flutter butterfly farm in High Point. Kelly provided the school with a planter box and the student helped with planting and maintaining the garden. In addition, Kelly helped the school's teachers develop resources for teaching students about the importance of pollinators. "We also saw [the garden] as a great way to encourage parents to talk to their kids about pollinators and ways they could help at home once outside the classroom." Kelly said that by completing the certification program, she developed "...a commitment to provide accurate and balanced factual information. To not muddy the message with a particular view point." Most importantly, she concluded, "I better understand my responsibility as an environmental educator."